Joe is a 15-year-old girl who has run away from her dysfunctional mother. Engel is not a name, it is the last name of handsome blond guy, who is also an orphan and punk, who also conducts a worthless way of life. After meeting, those two fall in love with each other. They are together all the time, they make great plans for the future. Neither treason nor lie, nor prison, nor even hard drugs can separate them… They experience enormous difficulties of teenage street life, but their young, but strong feeling helps to build heir own family after all. This film is about love, mistakes and life. Ordinary young people, still almost children, live like an adult, but make a lot of crazy things on their way. 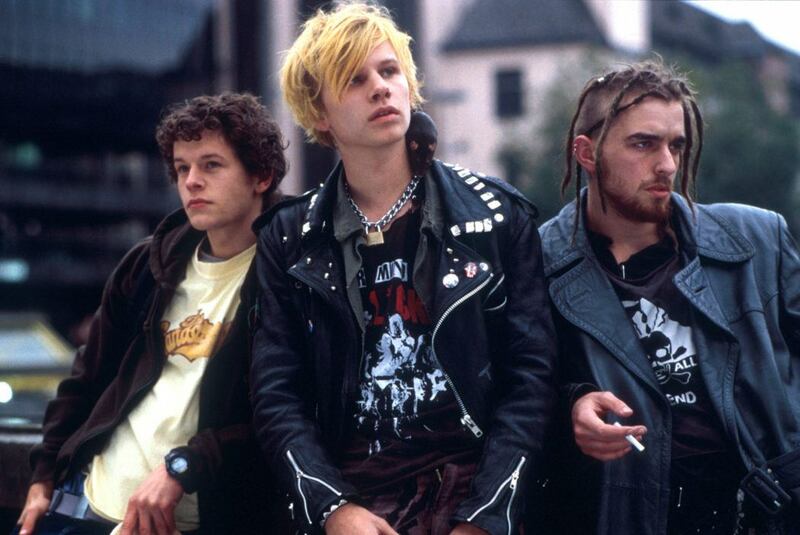 This film is about relationship between a punk-rocker and a runaway girl. Welcome to "Der Diktator Film"! Here we publish German cinema film reviews - if you are looking for what's interesting to watch, if you adore German movies or if you want to get acquainted with it - then you are in right place! German cinema is truly a point of pride for the entire nation and we are here for you to recommend films of different genres, periods and for every taste. Join the army of admirers of German cinematography today - read reviews, choose movies and go have a good time watching flicks. © Copyright 2019 - Diktator Filmkritik. All Rights Reserved.